Do you have problems potty training your child? Well, when my big girl was around a year old, I did. We have a great difficulty in teaching her how to use the bathroom or even her pink potty and so as with my baby boy. They had problems of remembering that they were no longer using diapers anymore and that they need to use a potty.It is good news though if you are having problems potty training your child because I found a website that teaches parents how to toilet train a toddler and how to handle common resistance. They teach a guaranteed method of doing such training. They also offer unlimited support to get the training done smoothly. How I wish I have found them when I was having problems with my children back then. It could have save me a lot of effort and frustrations. Visit them at PottyTrainingBasics.com. my son was only ready to be potty trained when he’s about to reach his 3rd year. I am also a Pinay! It’s nice to meet Pinay mommies online. 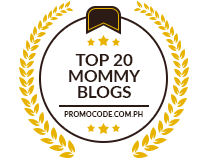 It is really a very big challenge for us mommies to potty train our kids. Visit me, I have shared some tips on how to potty train toddlers.